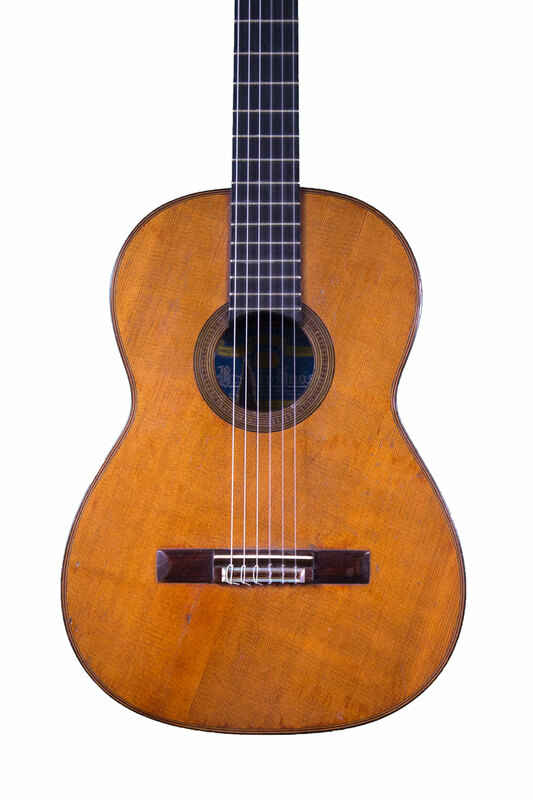 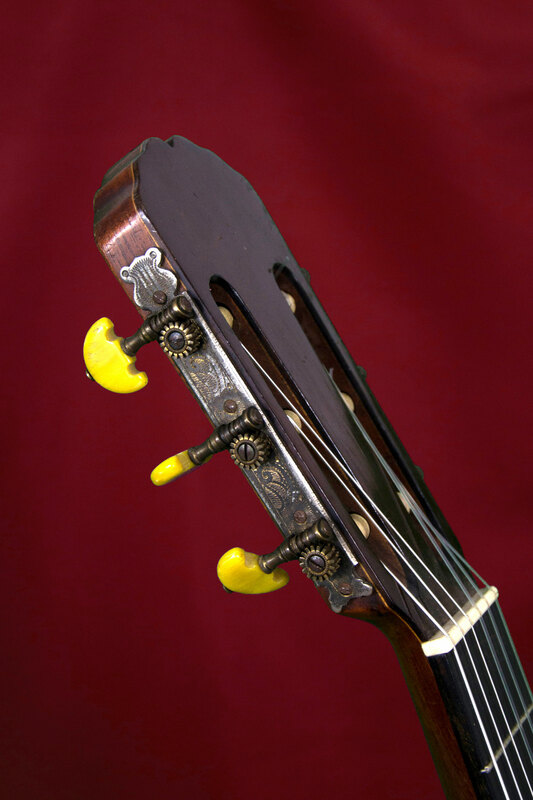 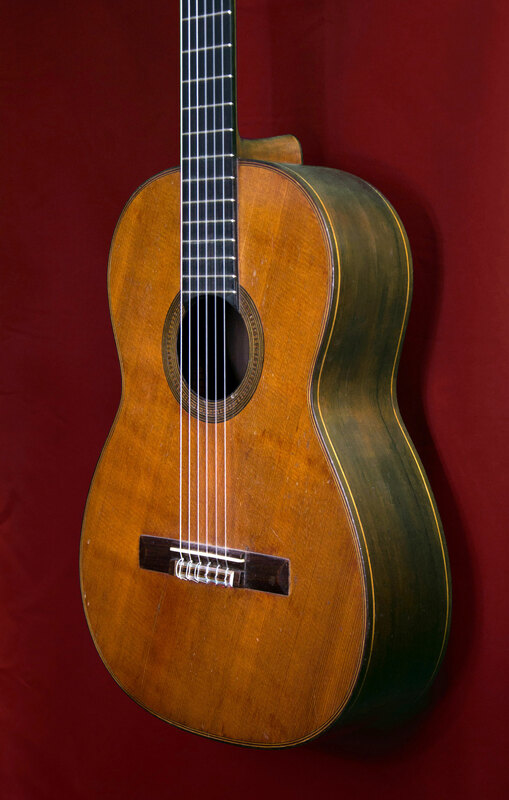 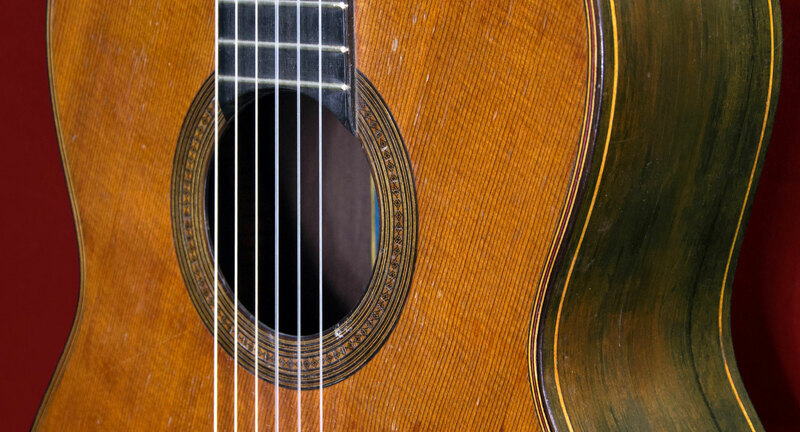 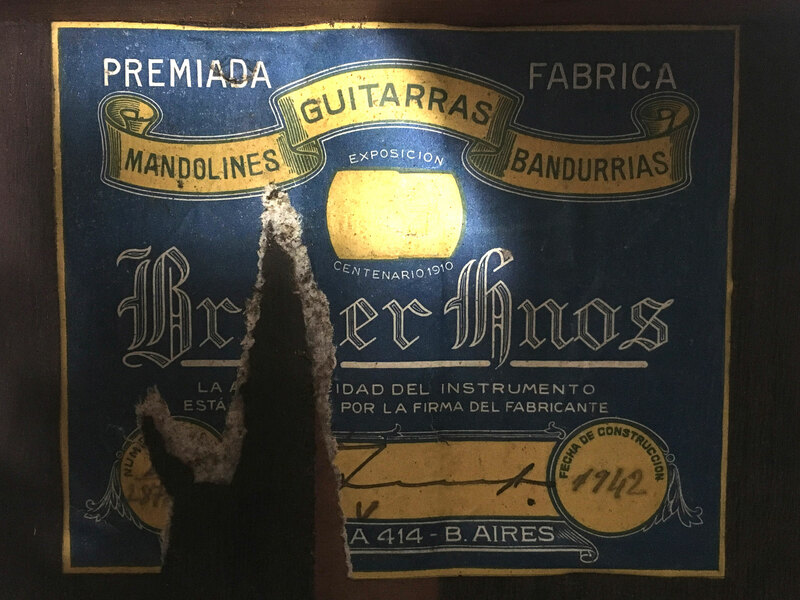 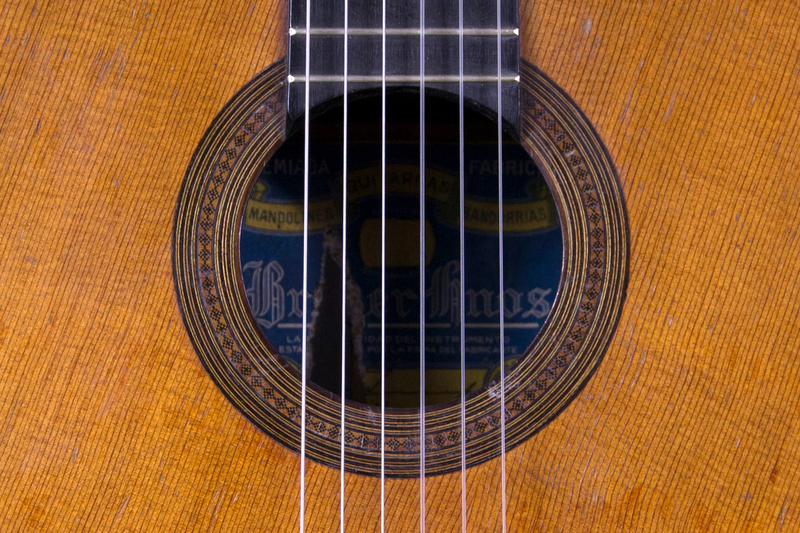 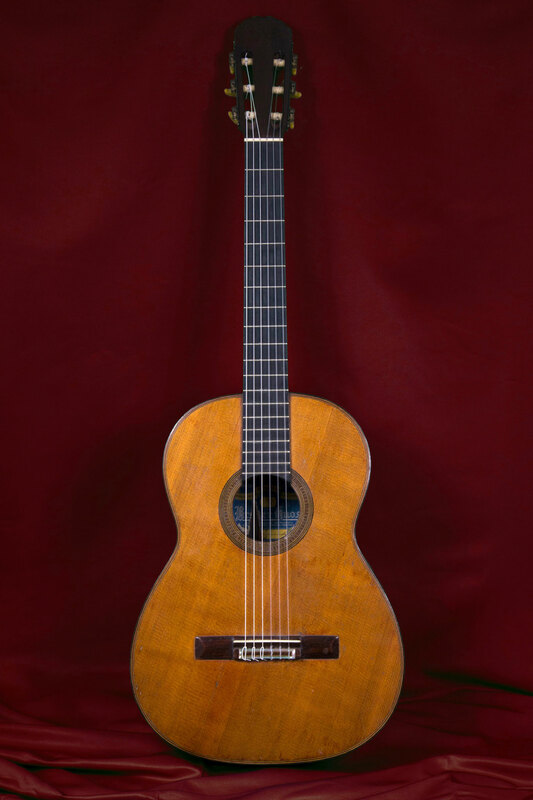 This is a very beautiful Breyer Hermanos 1942 guitar, thanks, in part, to its unusual top with oblique grain lines. 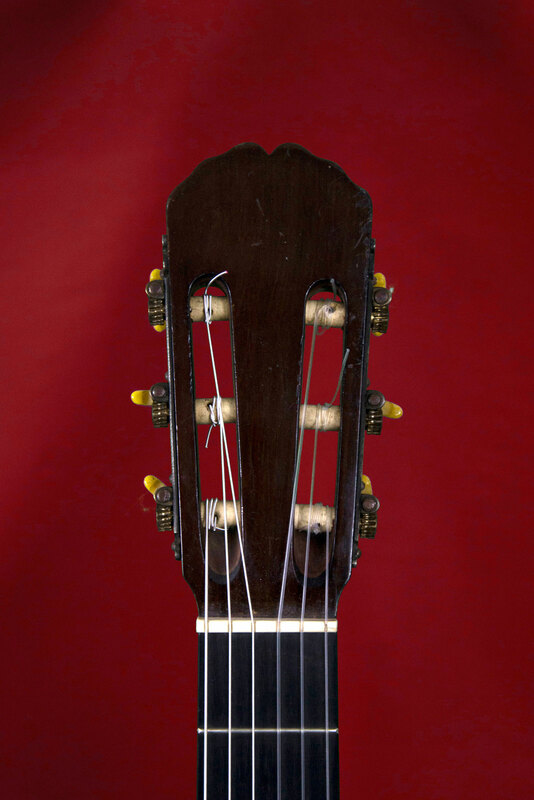 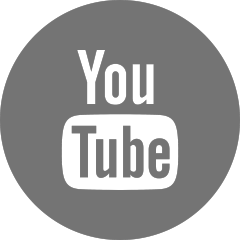 It is a smooth and responsive instrument, with clear, singing notes, and a soft and mellow sound. 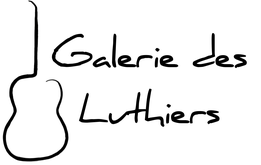 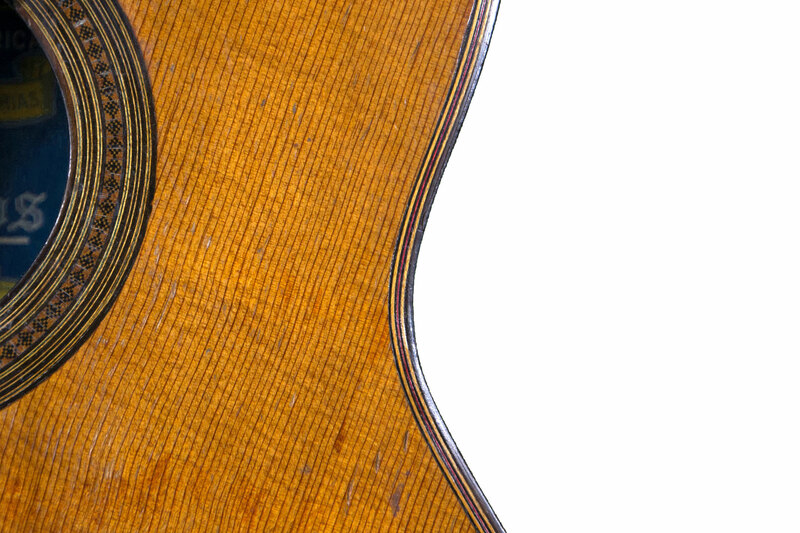 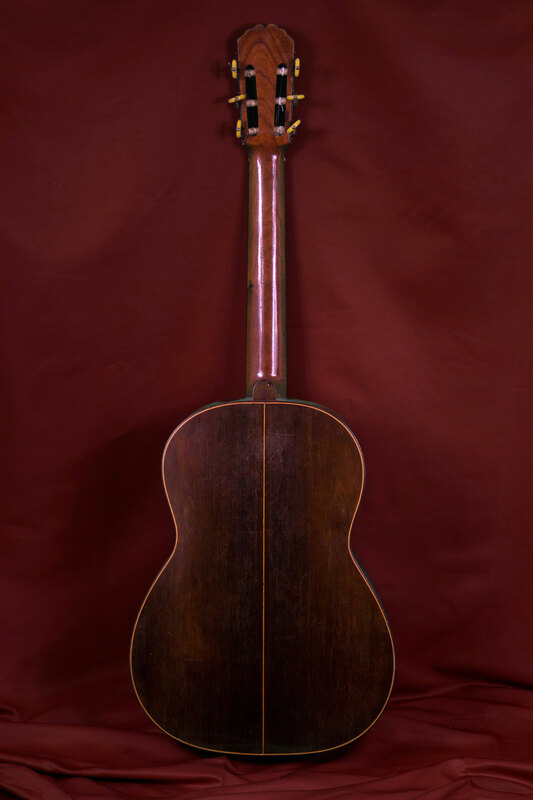 It offers all the expressiveness of early guitars at its most lovely and appealing.